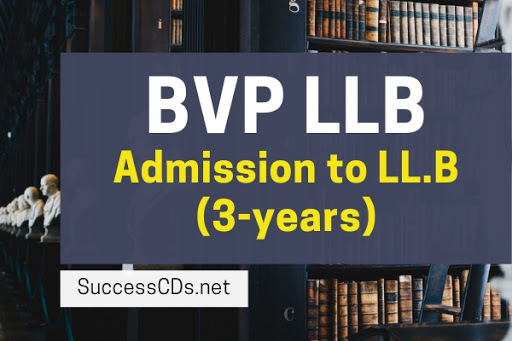 Bharati Vidyapeeth Pune LLB Admission 2019 - Bharati Vidyapeeth Deemed University, New Law College, Pune invites application for admission to LL.B 3 Year Degree Course for academic session 2019 through LL.B Entrance Test. As prescribed by Bar Council of India, Rules of Legal Education 2008, the applicant shall have passed the Bachelor’s Degree in any of the faculties of any recognized university or an examination recognized as equivalent there to and have obtained 45% of the total marks in case of general category and 40% of the total marks in case of SC & ST applicant. A Candidate desirous of seeking admission to LLB Program should fulfill the minimum eligibility condition as stated above. LL.B. Entrance Test 2019 will be of 100 marks. Social Sciences with an emphasis on Indian Constitution & Political System in India. A candidate desirous of appearing for the LLB Entrance Test 2019 is required to complete the prescribed online application form and submit to the University along with entrance test fee. The candidates should strictly follow the instructions given in the website while filling up the application form online, and must read the instructions carefully before filling up the online application form. Instructions are mentioned at ‘Registration Guide’ menu which is available on website. The entrance test fee shall be paid through payment gateway using internet banking mode or through debit/credit card. Service charges and other taxes for transaction as applicable by bank have to be paid by the applicant.